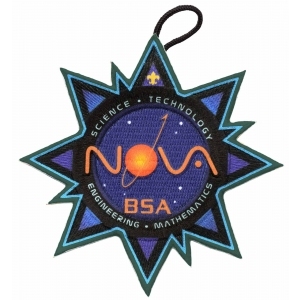 Third-Level Supernova Award for Venturers and Sea Scouts. Earn either the Thomas Edison Supernova Award while a registered Boy Scout or the Wright Brothers Supernova Award while a registered Venturer. Complete FOUR additional Supernova activity topics, one in each of the four different STEM areas. comparable to the existing Nova awards topics at that program level. Prepare a written outline for this proposed Nova awards topic and submit it to your mentor. With guidance from your mentor, select an area of current STEM-related concern and develop a research project or experiment related to that area. This research project or experiment should be challenging and should require a significant investment of time and effort on your part. If your mentor is not a specialist in the area of your project or experiment, he or she will solicit assistance from a specialist who to serve as a STEM consultant. Execute the project or experiment. Prepare a complete and well-documented written report AND an oral presentation. Present both to your mentor and your local council Nova committee. Submit an application to the national Nova committee for approval.